If you vape and live in Suffolk then you’ll be excited to hear that there is a Newmarket same day vape delivery service. This can take away the stress of having to go into town or ordering online and waiting until the next working day (at the least) for you to get vape products. Vape Run will deliver your vape juices, accessories and shiny new devices right to your desk for 5pm or your doormat by 8pm. Newmarket is an English market town in Suffolk, famous for horse racing and breeding. In fact, 1 in every 3 jobs in the town relate to horses in some way. Horse racing in the town has been dated as far back as 1174, and is the earliest known racing venue. There are over 50 horse training stables, two race tracks and a prestigious horse training ground. The town also features two equine hospitals, Newmarket Equine Hospital and Rossdales, both staffed by equine specialists. Aside from horses and racing, Newmarket is also famous for its flavoured sausages which butchers have been made in the town since 1880. Use Vaperun to deliver your vape goods and get to enjoy the racing. No need to head into town or wait in for the postman. While vaping hasn’t been going as long as the horse racing, it is fast growing in Newmarket. More and more people are giving up the smokes and moving on to the safer alternative. We offer the same fantastic customer service to our online customers as our in store ones. You can chat to actual vapers using the web chat. You can call and speak to a knowledgeable person, not a switchboard. If you are new to vaping and are not sure what is best for you then our team can show you. This takes the worry out of shopping online. We pride ourselves on customer service, therefore we don’t have switchboards and chat bots. We have real people answering your web chats and on the other end of the phone. If you are new to vaping, or if you have a question about a product you can chat to a live vaper. How annoying when you get a new device and are desperate to have a puff but it needs charging and the coil needs priming, the wait is agonising! The Vaperun team can get you set up and ready to go with your kit. We will charge, prime and prepare your device so you can vape sooner! We aim to be faster than Amazon with our Newmarket same day vape delivery and open it to more areas. We’ve tried and tested our service out on real human customers and it works! Order by 2:30pm for the early slots, or by 4pm for the later service. How much is Newmarket same day vape delivery? Sameday service is £4.99, or free for orders of £59. There is no minimum spend either, so you literally can just have a couple of e-liquids sent down to you. No need to go hunting round the supermarkets of a less than average e-liquid. David the co-founder of countles startups has extensive experience in the vaping industry. Working with vape retail startup Vape and Juice from 2014, David has grown with the company and now runs a small business podcast called The MOB Show. The MOB Show podcast is available on Spotify, iTunes, Castbox and Anchor. https://anchor.fm/themobshow David is a regular contributor to Quora, wordpress and is lead content strategist for the Vape and Juice / Vaperun / CBDStar group of companies. 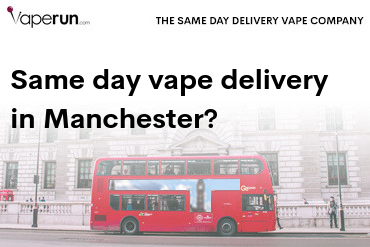 A WordPress Commenter on Sameday vape delivery in London – does anyone do it? Same day vape delivery is brought to you by Vaperun. 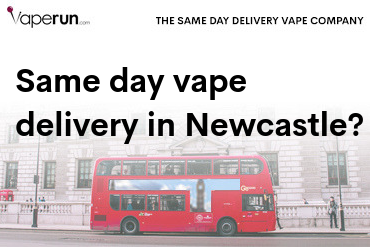 Vaperun have the widest same day delivery network of any vape retailer in the UK. By partnering with local vape shops we are able to offer you access to the most popular vape kits and best selling vape juices on the market now. Vaperun offers same day delivery of ecigs and e-liquids including CBD by 8:30pm Monday to Friday. Our focus is on exceptional customer experience and our online vape shop is built to be user friendly and easy to navigate. We employ vapers which means our live webchat is managed by humans and not bots. Try us out, we want to help you make the right decision everytime. If you are looking for a same day vape delivery shop in London, Scotland, Essex, Kent and beyond, we can deliver to you today for orders before 4pm. Orders over £59 benefit from free same day delivery.